Audioboom / Nuclear energy failing at management and regulation. @TomHals @Reuters. "...But Westinghouse miscalculated the time it would take, and the possible pitfalls involved, in rolling out its innovative AP1000 nuclear plants, according to a close examination by Reuters of the projects. Overwhelmed by the costs of construction, Westinghouse filed for bankruptcy on March 29, while its corporate parent, Japan's Toshiba Corp, is close to financial ruin [L3N1HI4SD]. It has said that controls at Westinghouse were "insufficient." The sector's problems extend well beyond Westinghouse. France's Areva is being restructured, in part due to delays and huge cost overruns at a nuclear plant the company is building in Finland. Even though Westinghouse's approach of pre-fabricated plants was untested, the company offered aggressive estimates of the cost and time it would take to build its AP1000 plants in order to win future business from U.S. utility companies. 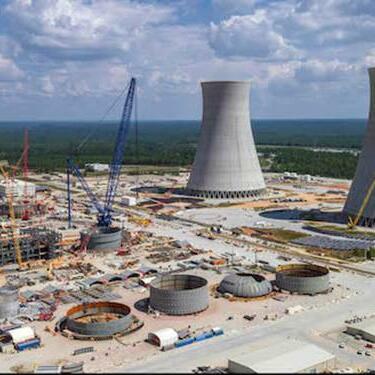 It also misjudged regulatory hurdles and used a construction company that lacked experience with the rigor and demands of nuclear work, according to state and federal regulators' reports, bankruptcy filings and interviews with current and former employees...."